Amazing concentration and teamwork went into the making of the children’s animated movies. See the results on Friday 12th February. Our first meeting of the year was all about dates. We’re looking at a super-busy couple of terms and we’re going to need plenty of parents and families to help make everything happen in Tufnell Park style. Wednesday 3rd February – HSA meeting and drinks. The next committee meeting is open to all as usual, so come along to the Tufnell Park Tavern at 8:00pm for a drink and a chat with other members. We’ve often been asked to provide some social time along with the meetings, so we won’t knuckle down to business until 8:30pm. Friday 12th February – Animated Film Screening for Safer Internet Week. 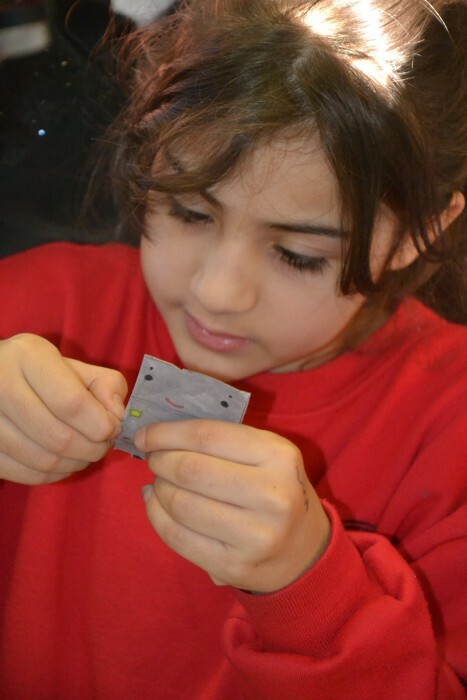 Surely every parent in the school knows by now that our children in years 1-6 have been making short animated films – a Learning Treat funded by the HSA. They’re to be screened at the end of Safer Internet Week, aka the last day before half term, at 3:30pm. Don’t miss! Many adults were needed to make sure all the children got a chance to film their work. It was really great that so many parents responded to the urgent call-out for help. …and the children’s absorption was wonderful to see. Can’t wait to view the results. 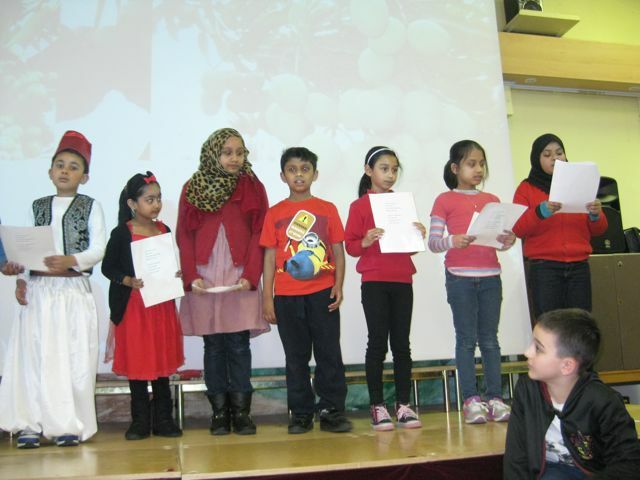 Children’s and parents’ poetry in many languages was the highlight of last year’s World Book Day, too. Thursday 3rd March – World Book Day. We’re anticipating a dress-up day for the kids with a global literary theme, followed by an after-school celebration of language, literature and food from around the world. Again, the start time is 3:30pm – watch this space. 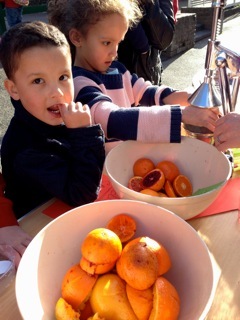 Let’s get those kids juicing again! Friday 18th March – Sports Relief. The recent Football Fundraising Friday made £155.00 on healthy snacks alone without a cake in sight. Can we pull off something similar for Sports Relief this year? Sunday 20th March – Santander Gardening Project begins… Families from throughout the school community are invited to come along and plant crops on Sunday afternoon for harvest later in the year. It’s a fantastic, term-long project funded by Santander bank’s community fund and you’ll be hearing plenty more about it in weeks to come. Rhyl School in Camden has far less garden space than we do, and what they’ve done with it is truly impressive. Parents and governors of Tufnell Park had never seen such verdant rosemary in a carpark before. If they can do it, we can too – and we will.